Compare and shop for an all natural anti-aging facial mask, or... find out how safe your skin care is with our product ingredient reviews. Treat your body right and avoid the toxins! Naturally renew your skins surface and revitalize aging skin with a natural facial masque! Many commercial facial masks can contain a variety of toxic and potentially harmful ingredients which may result in eye and skin irritations, allergic reactions and skin rashes ... Some ingredients are even known to cause cancer or other serious health conditions! Use a natural anti-aging mask to renew your skin's surface and keep it looking healthy and vibrant! Facial masks serve a variety of different functions. For oily or acne prone skin, mud or clay-based masks are great for balancing the skin. Dry and mature skin benefits from hydrating masks made from glycerin, honey and oils. Ginseng or green tea masks are great for soothing skin. Keep a youthful appearance and renew your skin's surface with a plant-based, all natural anti-aging facial mask that will provide real benefits to your skin and health. The best antiaging face mask for non-toxic living is an all natural, organic antiaging skin care facial mask! Why? Because you will avoid the unnatural, synthetic and toxic ingredients found in the commercial dry skin face masks, which can be causing more damage than good! How Safe Is Your Facial Mask? 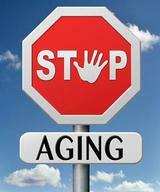 Keep it simple and safe with Natural Anti-Aging Facial Mask Products and look and feel fabulous! Choose an all natural anti-aging mask, because you ARE worth it!